Egypt’s Independent Culture Coalition has announced the resumption of its El-Fan Midan (Arts Square) project this Saturday, 7 January, after a brief hiatus in December due to violent confrontations between protesters and security forces in downtown Cairo. According to coalition officials, project festivities were called off in December owing both to political turbulence and in order to show support for protesters opposed to Egypt’s ruling military council. A number of coalition members reportedly took part in the Tahrir Square sit-ins that followed the clashes. As the New Year begins, the culture coalition is planning to revive El-Fan Midan street festivities in Cairo’s Abdeen Square, which will feature music, painting, theatre and other artistic activities in an effort to promote culture and the arts on the street level. El-Fan Midan’s programme this Saturday, 7 January, will include an exhibition of work by artist Mohamed Abla entitled "Wolves," a recital by prominent poet Bakar, and a series of sketch performances by the Project for the Oppressed Egyptian Theatre entitled "Short Interactive Public Participation." 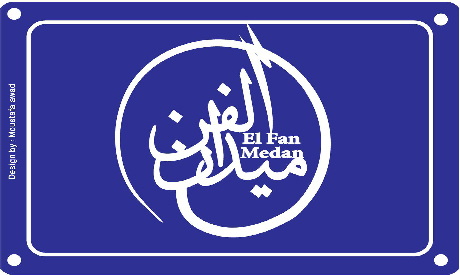 El-Fan Midan will be held from 12pm to 9pm on Saturday, 7 January, in Abdeen Square in front of Abdeen Palace, in Cairo’s downtown district.